Seems simple, but this is an awesome feature. Highlighting a palette entry allows you to quickly see where any floss or bead is used in your design. 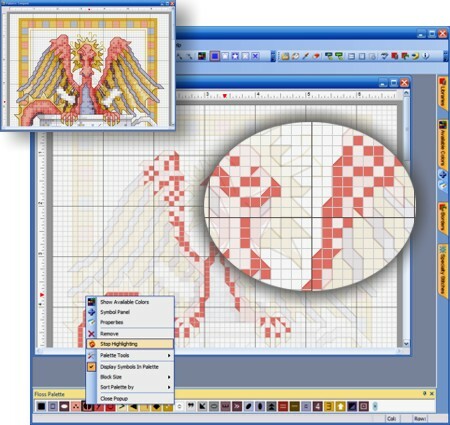 PCStitch Pro will dim the other stitches so that only the currently selected floss entry stands out. Change the selected entry and the pattern flips the stitches.